Gazpacho is a bright, refreshing soup that is ideal for a hot summer day. This recipe uses gorgeous red tomatoes from a farmer’s market that taste incredible! Try to get the tomatoes from a farmer’s market if you can rather than the store. 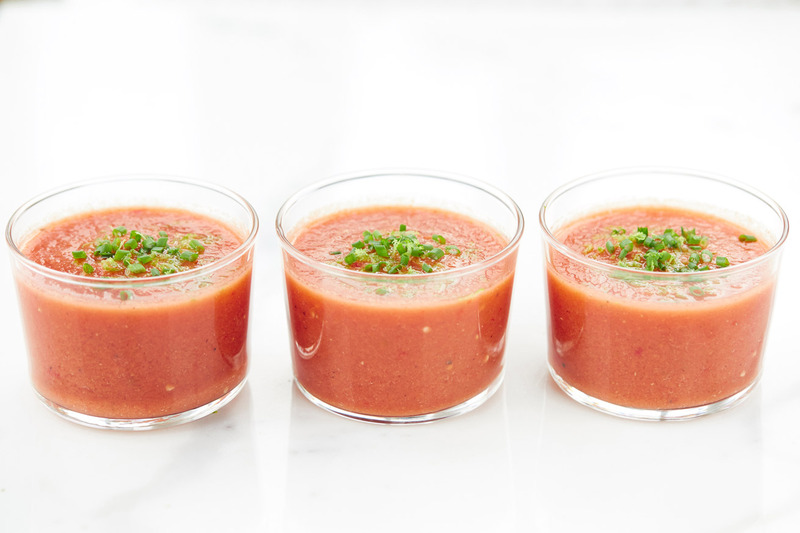 The fresher they are, the better the gazpacho will taste. 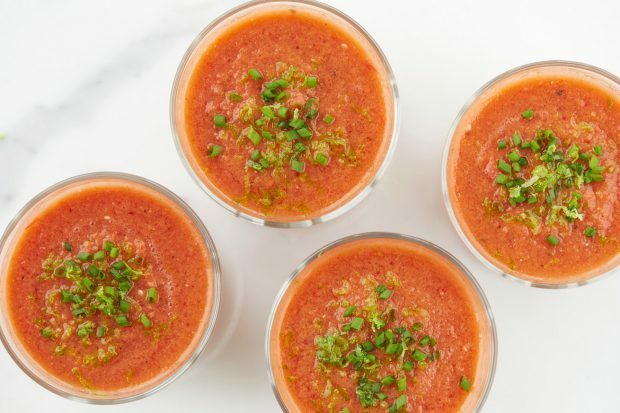 Gazpacho is high in vitamins A, E, C, and antioxidants mainly from the tomatoes and pepper which slow down aging and protect from the common cold. STEP 1. 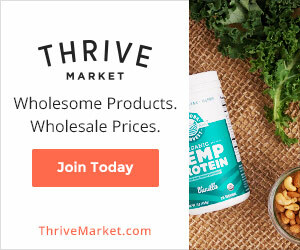 Combine all of the ingredients in a high speed blender and blend until smooth. I have a large vitamix and all of the ingredients fit all at once. You can do it by batches if you have a NutriBullet or a small blender. STEP 2. Strain the mixture through a strainer, pushing all the liquid through with a spatula or the back of a ladle. Transfer to a large pitcher and chill in the refrigerator a few hours. STEP 3. Serve in glass bowls or glasses, top with basil and lime zest. How do I input this into the F-Factor app?